Fair. 0747231648 THE COVER IS DIFFRENT TO THE ONE THAT IS SHOWN, STICKER TO INISDE OF FRONT COVER. I don't know why he gets called the "lesser Steven King!" This is one of his best works.It makes you think .I love it ! If you want a great suspense that keeps you there facinated .Read this! This is my all time favorite by Dean Koontz! It's an original. I just keep having to read it again. Never gets old! This was the book that got me hooked on Dean Koontz. 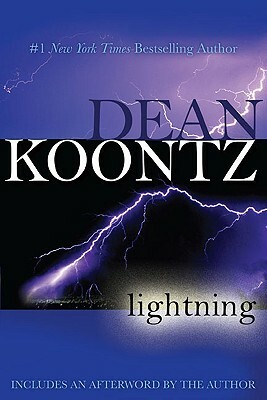 "Lightning" is still one of my favorites of Koontz'. The characters are introduced in such a unique way to keep them interesting. The story unfolds in a fashion to keep the reader eager to know what happens next. I highly recommend adding this book to your collection.